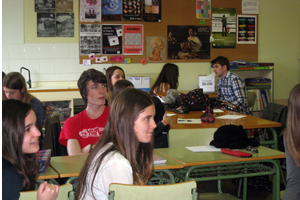 Last week Tim, a boy from The Nederlands came to our scool to learn some spanish. He was with us in Art class, helping with English. Here you have a Photos of your words to him.